My name is Chidambaram Krishnan. I hail from a beautiful village named Mukkoodal, located on the banks of the Tambaraparani river, in Tirunelveli District of Tamil Nadu. My father’s name is Arumugam, and my mother’s name is Gomathi Ammal. We were eight children, three boys and five girls. I was the third, and above me were two brothers. There was not much of a religious fervour or devotion in our family, and we just worshipped a family deity. We believed that that this deity would fulfil all our wants if we propitiated the deity with rituals that included the sacrifice of a goat. So we prayed, sacrificed a goat whenever required, and looked forward to bounties. Our family knew nothing about Dhyana, Meditation etc. In this sense, our Bhakti was very limited. In spite of all this, somehow, unknown to me, I was impelled, while in school, to start meditating. I just don’t know why and how I started. Probably it was all the result of good deeds done in earlier births. I studied in a school run by Christian Missionaries and I stayed in the Hostel. We used to be awakened at around 6.15 A.M and were expected to study for one hour. However, I used to meditate during that period. For this, I was punished severely and beaten on the back with a cane. The teachers accused of me of meditating on Satan. I received all the blows but continued to meditate. At night, after all had gone to sleep, I would sit in my bed and again meditate for one hour from 9 P.M to 10 P.M. The authorities would come, see me meditating and kick me, accusing me once again of worshipping Satan. However, I was not expelled from school because I was a topper, standing first in my class in all subjects. I really cannot blame the school authorities; they were just being loyal to their faith. I got into problems because of their zeal for their religion. When I reached the age of 22, my horoscope was examined by astrologers, and I was told that at the age of 24, the planetary configurations would turn unfavourable for me and that therefore, I simply cannot expect to live beyond 14th March, 1960 – that was the cut-off date. My father then took me to a well-known astrologer named Sivaraman in Madras. We then went to a palmist in Kerala. He examined my palm, and he too declared that it would all be over for me at the age of 24. If you see the lifeline in my palm now, you would find it to be continuous. In those days, there was a clear break. That break has since vanished. I am now 71. 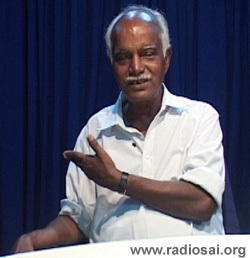 After hearing the bad news from the palmist, we then went in search of one more astrologer. He too said that I would not live beyond the age of 24. In between, something else happened. A couple of years prior to all this, preparations were started to get me married. I was to be married to the sister of the wife of my brother – that is, the brother just elder to me and younger to our eldest brother. The betrothal ceremony also took place. However, my eldest brother did not quite like this proposed arrangement. He felt that such an alliance would bring us two brothers younger to him very close, and as a result, his position in the family would become weakened. He therefore tried to persuade me to marry some other girl. I said no. The matter was then taken to Court on the ground that the girl I was to marry was a minor. On that argument, my eldest brother managed to obtain a Court injunction, stopping the marriage. To marry this girl, I would have to wait five years, till the girl attained legal majority. This is where matters stood; the Court had come in the way of my proposed marriage. Meanwhile, the date on which my life was supposed to end was fast approaching. It was the morning of 9th March, 1960. In those days, there was in the town of Tirunelveli, a big textile shop named Shankar Stores, owned by one Mr. Krishnaswami Mudaliar, an ardent devotee of Swami. This Mudaliar felt great pity for me. Our family then had a big export business, and employed nearly twelve thousand people. Mr. Mudaliar felt that my untimely death would be a great loss for a family that provided employment to so many people. He was convinced that only Sai Baba could save me. That is what this Mudaliar told me on the morning of 9th March, 1960, and my life was to end on 14th March, 1960. At that time, my health was not in good shape on account of acute peptic ulcer. I just could not eat, and subsisted mainly on black tea, curds and a few things like that. 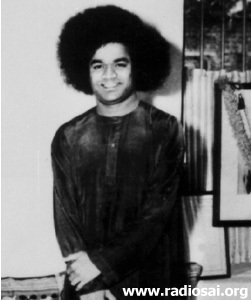 There I was in my office in this miserable condition, when Mr. Krishnaswami Mudaliar told me over the phone that Sai Baba alone could save me. He then followed up the phone call by actually coming to see me. He told me, “You MUST see Sai Baba. He is leaving Madurai this morning by car and, covering the distance of about 150 km to Tirunelveli, is likely to reach here by 11.30 A.M. If you come to where He would be stopping, He will definitely see you. He is just passing through. If we miss Him here, then we cannot catch Him thereafter. “It is enough if He talks to you just once; thereafter, your life would be secure.” That is what he told me. I told him that it was not possible for me to wait for Sai Baba since I HAD to go to Tiruchendur to worship Lord Muruga on the occasion of a particular function. I had never missed this function any year, and did not want to miss it now either. You must remember that at that time, I simply did not know anything about Swami. Today of course, I would not dare say such a thing! So I told Mr. Mudaliar, “I HAVE to go, and will be back only in the evening. If destiny wills, maybe I will have Darshan of Sai Baba in the evening. 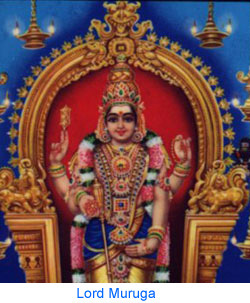 Otherwise, I submit to Lord Muruga to save me.” So saying, I left for the sacred town of Tiruchendur. So we went to this small town near Tirunelveli and within five minutes of our reaching there, we saw a fleet of cars approaching. Swami never travelled alone, and a big fleet generally moved with Him whenever He travelled. The group would include members of Swami’s family. I had been told that Swami would give vibhuti with His hand. I did not understand much of what was told to me, and just did not know what to expect. I was imagining an old man who would take a pinch of vibhuti from a vessel and give that to me. I got a shock when I saw Swami for the first time. There was no old man; instead, there was a young person, 34 years old in the body and stunningly beautiful. 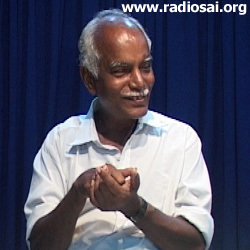 I told Mr. Mudaliar, “You talked of a Swamiji. This person is so young and so handsome! Why did you not tell me all this before?” You see, for us in those days, the word Swami always meant an old Sannyasi; hence the confusion! Swami barely looked in my direction. Just a general wave to the crowd and He drove off to Tirunelveli to visit many devotees there. In those days, there was in Tirunelveli, one Mr. Ramamurthy, the Jail Superintendent. Swami went to his house. We waited outside, but Swami did not look at us. After completing His rounds in Tirunelveli, Swami drove off to the nearby small town Surandai, His immediate destination. He was to make a night-halt there.